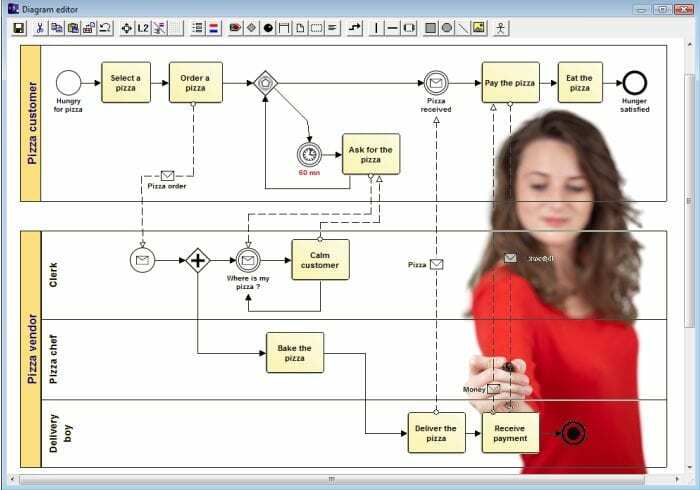 The Business Process Modelling course provides delegates with an overview of the principles and techniques of business process modelling, the application of those techniques through various business case studies and tutor lead exercises. Analysing organisations from a process perspective is now a key skill for business analysts and change specialists. The analyst should be able to model the organisation from various levels using a modelling technique and notation. A clearly visualised organisational model is a powerful tool for making effective decisions, improvements and organisational change. This course includes the population industry business modelling standard – BPMN (Business Process Modelling Notation). The course is relevant to anyone requiring an understanding of Business Analysis. Business analysts, business managers and their staff, business change managers and project managers. Prerequisites: There are no course prerequisites but work experience in the field would useful to an overall appreciation of the applicability and relevance of the content.